Spain is the holiday destination where you are most likely to fall ill or have their passport or money stolen, according to new research. Almost a quarter of all UK trips there end up in some kind of mishap. 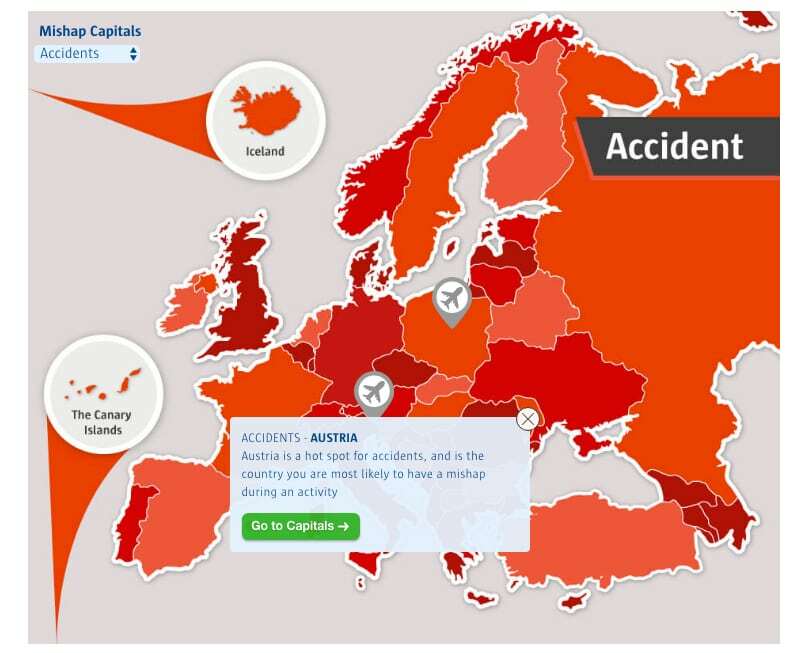 And France is the European ‘car crash capital’, while most activity-based accidents befall Brits in Austria. The holiday hazard hotspots emerged from a poll of 8,000 UK people by comparethemarket.com, who have created a ‘mishap map’ to highlight the tourist traps. Their research reveals that over one in ten UK holidays to Europe involve setbacks like illness, injury or loss or theft of property. 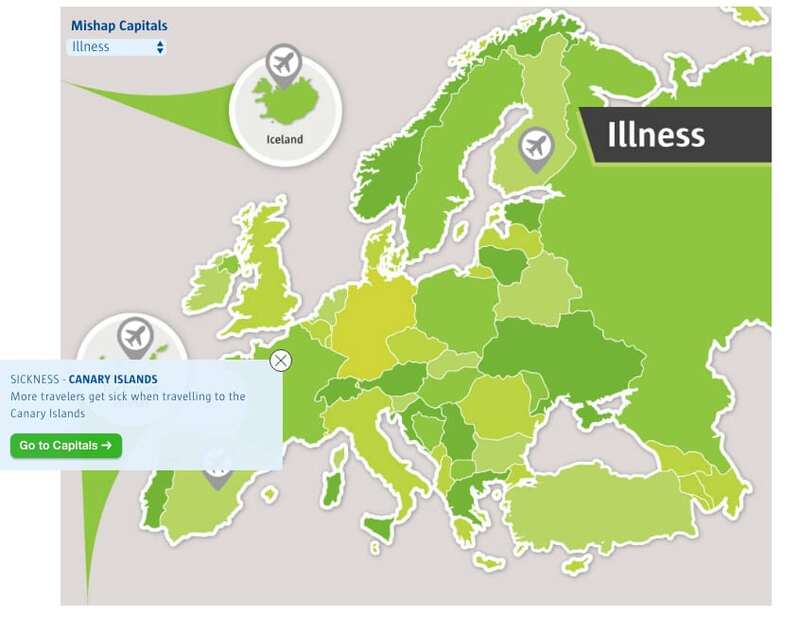 And Spain also topped the list of countries where people were most liable to fall ill, followed by the Canary Islands and Greece. For some unlucky travellers, trouble begins before they even get on the plane – thanks to flight delays or cancellations. 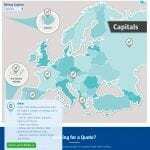 Russia emerged as the destination most likely to be plagued by flight issues, followed by Spain and the Canary Islands. Russian flight operators are also likeliest to lose your luggage. 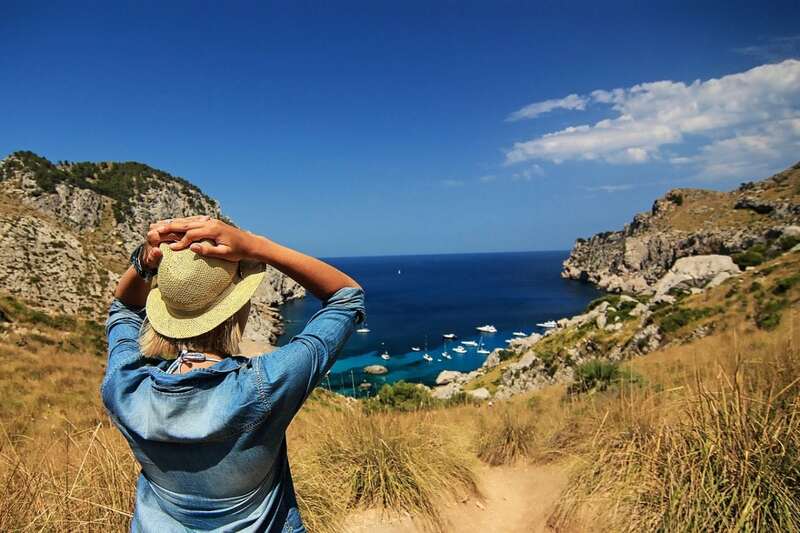 Sam Grant, Head of Travel at comparethemarket.com, said: “No one wants their holiday to be blighted by a mishap – big or small – so it’s always worth taking the necessary precuations.